Since October, Sujitno and Dahlia Sajuti have lived in a Unitarian Universalist church, pleading to stay in the country they’ve called home for thirty years. Sujitno Sajuti cannot answer the door at the Unitarian Universalist Church in Meriden, Connecticut. If he does and a U.S. Immigration and Customs Enforcement (ICE) official awaits, the official will immediately detain and deport him. In August 2017, Sujitno’s request for stay was denied and he was told to leave the country by October 10. The night before his deportation, he and his wife, Dahlia, moved into the church, where the congregation has converted a small upstairs office into a bedroom. Since then, Sujitno and Dahlia have lived in this suburban church atop a small hill overlooking a valley to the east. One month after he took sanctuary, I spent a November afternoon with Sujitno. At 68 years old, Sujitno, who has lived in the United States since 1989, shuffles in his slippers from the kitchen to the reading room. There are posters of the Rev. Dr. Martin Luther King Jr. and Rosa Parks on the walls. He sits in a rocking chair and looks up. His light brown eyes are professorial, piercing but inviting. Wispy gray hair drifts out from under his songkok. In 1984, after receiving his Master of Public Health degree, Sujitno returned to Dahlia and Indonesia. He shifted his focus from public health to medical anthropology for his Ph.D. and came back to the U.S. in 1989 to continue his studies. This time he never left. If he had not gone back to Indonesia, he might be a U.S. citizen now rather than an immigrant facing deportation: on November 6, 1986, Ronald Reagan signed the Immigration Reform and Control Act, which naturalized millions of undocumented immigrants who had continuously resided in the United States from before January 1, 1982. Dahlia comes down the stairs and hands Sujitno a cell phone. He taps it and scrunches his brow with curiosity. Raising it to his ear, he greets the caller in Indonesian. Quickly, he turns around and walks down the short corridor toward the door. An expression of recognition crosses his face, and he calls to Dahlia to get the door. The guest, a friend from Hartford, where Dahlia and Sujitno have lived for the past twenty years, delivers groceries to the couple for the upcoming weekend. Church members and the Sajutis’ friends and supporters have volunteered to do laundry, make meals, and sleep over during the night on a cot in a community room downstairs. The congregation moved quickly from supporting the idea of offering sanctuary to actually doing it. The Rev. Dr. Jan Carlsson-Bull called an emergency board meeting in September in response to the potential deportation of Franklin and Gioconda Ramos, a Meriden couple. Carlsson-Bull asked, “Are we going to live who we say we are?” The UU leaders voted to become a sanctuary church, but the Ramoses were granted a stay. Two weeks later, Carlsson-Bull received a call about Sujitno Sajuti’s pending deportation, and Sujitno and Dahlia arrived that night. Dahlia came to the United States in 1988 to study library science. When Sujitno returned to the United States in 1989 he had a USAID program scholarship at the University of Connecticut in Storrs and was able to rejoin Dahlia. After several years, however, UConn unexpectedly rescinded Sujitno’s scholarship. At almost the same time, his dissertation advisor left the university. Barred from completing his degree because the university could not find him another advisor, Sujitno scrambled to find money to pay for food and rent. “I [didn’t] want to go home. I hadn’t gotten my degree,” Sujitno says. “You cannot move up if you don’t have a degree. It is the reality. It is the fact.” Unable to study at UConn and unwilling to go home for fear of having no professional life, Sujitno struggled to make ends meet in Hartford. He worked at a grocery store. He tutored. “Even when I was late, I always paid [the rent],” he says, for the one-bedroom apartment he and Dahlia found in West Hartford. Sujitno pauses. He gestures to the stairs, inviting me up to the converted office where he and Dahlia now live. As we turn the corner up the stairs, the offices of Carlsson-Bull and the church administrator are on our left. Directly in front of us is Dahlia and Sujitno’s room. A reddish-pink comforter with brown flowers covers the bed on the right side of the room. The three suitcases they carried to Meriden on October 9 are tucked in the corner. Sujitno slides into the room between the bed and an ironing board, which divides the room in half. To the left is an area for prayer. Dahlia stands up as Sujitno enters. The Qur’an lies open on a desk; sticky notes studiously poke out of every third page. In September 2002, the George W. Bush administration launched the National Security Entry-Exit Registration System. As part of this initiative, non-citizens from Indonesia and twenty-three other predominantly Muslim nations were expected to register with the federal government. The deadline to register was April 25, 2003. Sujitno registered on April 24. He believed, at the time, that he might be able to get a green card through some legal process if he registered. According to the Arab American Institute, “more than 13,000 men who complied with call-in registration were placed in removal proceedings.” Sujitno was one of them. Bristling at the suggestion that all he does is sleep, Sujitno interrupts. Each year from 2003 until 2011, Sujitno was granted a temporary stay. He continued working in Hartford as a grocery store clerk, a tutor, and an activist. Protesting for health and immigrant rights, Sujitno became well known in the activist community between Hartford, New Haven, and Stamford. One day in 2011, Sujitno went to check the mail and an ICE officer who had been waiting near the house grabbed him. He was detained for sixty-seven days in Massachusetts. His community, notable public figures such as U.S. Senator Richard Blumenthal, and others rallied by Sujitno’s side. Eventually, he was released from custody with another temporary stay. Again, each year until this past August, he was granted a temporary stay. would only arrest people with a criminal record.” Sujitno pulls up his pant leg to show me a GPS monitor on his ankle, which he was given in August and which he must charge each night. If the bracelet runs out of battery or malfunctions, ICE officials might have cause to enter the church and detain him. We return to the reading room. The field of medical anthropology is different in many ways than the field of public health, Sujitno tells me. He originally came to the United States to study the effect of population on the infant mortality rate. After graciously explaining the historical origins of sociology and anthropology, he moves quickly into a mini-lecture about the difference between quantitative and qualitative methods as it pertains to population and infant mortality rates. Recalling his doctoral studies, he remarks, “Some professors didn’t like when I talked. They say, ‘I give you this A-minus because you talk too much,’ but when I get an idea, if I stop I forget.” He smiles, and laughs. His laugh is infectious. Sujitno still wants to finish his Ph.D. He wants to travel. “I like to go traveling. My dream was around the world.” He said he has spoken with the president of UConn, hoping to find a way to return to his studies. Unfortunately, there is no guarantee he could be reinstated. If he were deported, he would return to Jakarta having been away for almost thirty years, with no Ph.D. and little family to support him. Alok Bhatt, a lawyer and activist for the Connecticut Immigrant Rights Alliance who is working on Sujitno’s case, says that they hope to get a U visa for Sujitno. The U visa has a limited term and is only for victims of a violent crime. In 1995, Sujitno was the victim of an armed robbery in Hartford, but the police have erased the police report. His legal team is working with the Hartford Police Department and pursuing all legal paths to citizenship. Until another temporary stay is granted, however, Sujitno must remain inside the church. In mid-January, more than 100 days after the Sajutis took sanctuary in Meriden, Bhatt and lawyers from New Haven Legal Assistance completed Sujitno’s U visa application. Bhatt hopes he will be able to return to his home soon. Afraid of being seen and targeted by ICE officials, Sujitno doesn’t go near the doors, all of which have signs that read, “Please be sure this door is locked when you leave.” ICE officials cannot come into the sanctuary without a federal warrant on any day except Sunday. On Sundays, however, the sanctuary is open to anyone. Because ICE officials cannot enter “private spaces” without a federal warrant, the church has designated upstairs off limits for the Sunday services. But a thin, green, elastic cord tied between the banisters is all that marks the boundaries of his sanctuary. As I prepare to leave at the end of my November visit, Sujitno adjusts his songkok and we walk towards the door. He stops next to a poster that reads, “Standing on the Side of Love.” Glancing towards the light coming from the door, he stops. “Praying doesn’t mean anything if you don’t take action,” he observes. “If you don’t call, nobody knows.” In Meriden—as in hundreds of other communities where lawyers, activists, and faith communities are partnering with immigrant communities to advocate for people at risk—the calls are getting through. 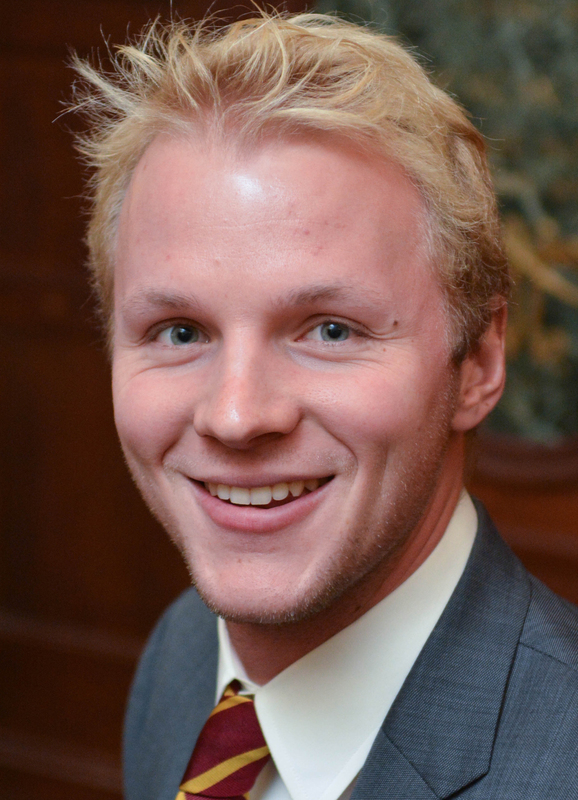 Patrick Sullivan is a senior at Yale University, where he is studying politics in American communities. He has also written for Yale Daily News.